'Those McIntyres are nothing but trouble!' When the McIntyre family moves in next door, Eva is intrigued - it is the first interesting thing to happen for ages. But her ever protective Dad - even more protective since Eva's mum died - does not agree. And the McIntyres are certainly noisy! But Eva is curious about Jamie, who she often sees on the roof of his garden shed, escaping the family chaos. Then Eva gets to know Jamie a bit better. And when he is accused of vandalising the local park, Eva is sure he didn't do it. It is up to Eva to stick up for him - but then Jamie disappears. 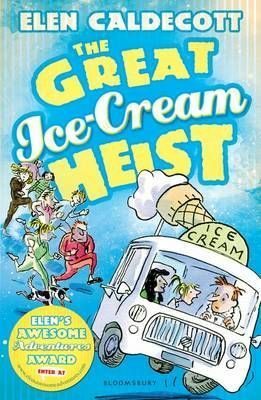 Eva is now in a race against time, which snowballs into a helterskelter race with a 'borrowed' ice cream van, lots of irate keep-fit enthusiasts and lashings of ice-cream! A warm, funny adventure about sticking up for your friends.